Jurgen Klopp admits it will be slightly ‘strange’ when Liverpool come up against Dominic Solanke with Bournemouth at Anfield on Saturday. The striker returns to Merseyside for the first time since sealing a £19million move to the Cherries during the January transfer window. A move south underlined his desire for increased first team minutes in light of the limited opportunities available with the Reds. Solanke joined the club in July 2017 before managing just 27 senior appearances and one goal across all competitions as understudy to Klopp’s familiar attacking trio. 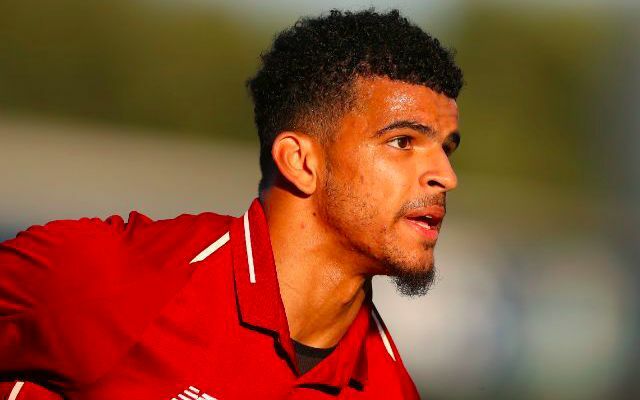 It was undoubtedly the right move for all parties involved, with Solanke chasing the game time he needs and deserves and Liverpool refusing to halt the progress of a young and still-developing prospect. Quite frankly, most forwards in the world would struggle to step in ahead of one of Mohamed Salah, Sadio Mane or Roberto Firmino on a full-time basis at the moment. Solanke is now in contention to earn his second start for his new club in place of injured striker Callum Wilson, who is set to be sidelined for around a month. He could be joined by Joshua King up top if Eddie Howe opts to stick with the system he used in Bournemouth’s 2-0 defeat to Cardiff City last time out.